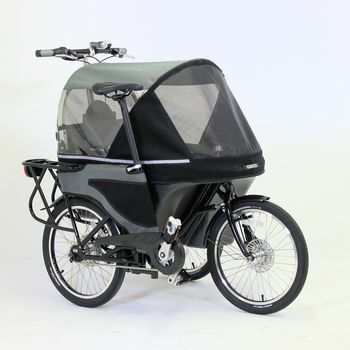 A bicycle that converts instantly into a stroller or delivery cart. A 80cm width allows access onto public transit as a stroller and entry into most buildings and public spaces. The compact form and ability to maneuver in tight spaces allows the bicycle to enter new frontiers where it was previously forbidden. The conversion takes less than five seconds and is effortless. It begins with releasing the rotational lock pedal and applying the rear wheel brake. The stroller is then pushed forward or backward and when the conversion is completed the pedal locks back into place with a click. The left wheel is raised or lowered with a push button axle. 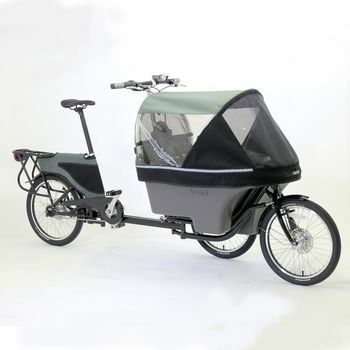 We really like this idea of combining a bike with a pushchair. 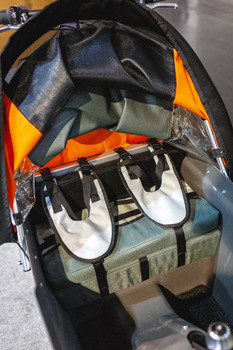 The Cycle Stroller also features an outstanding design. Converting the bike to a pushchair and vice versa is very easy. The bike is also extremely good to ride.